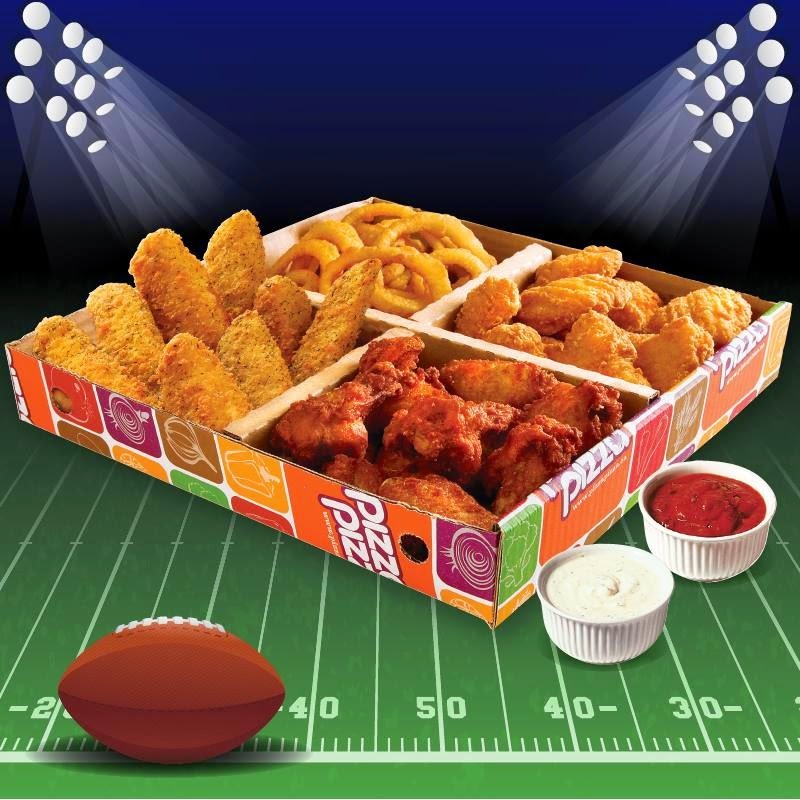 What to eat Super Bowl Sunday?! I can't believe the Super Bowl is tomorrow- boy did that come around fast. If you are like me, and don't feel like cooking anything for your family on Super Bowl Sunday, below are some really great options whether you feel like eating in or out. For more information on the deal just click on the restaurant name which I have linked to their website. NEW on the menu is the Mini Buckets for $5.99. Your choice of any one of your favorites: 7 Sauced & Tossed Chicken Bites, 8 Delicious Italian Meatballs or 8 Jalapeno Poppers. "Score Savings" deal which comes with 2 Medium Pizzas, 4 Toppings (combined) 6 Free cans of Coke and 2 FREE dips for $18.99! Over 200 of Toronto's top restaurants take part in this event, so there are a lot of places to choose from. I would highly recommend making reservations ASAP because they do book up fast! What I love about this event is that you can try very expensive restaurants that you wouldn't normally eat at for a great price. It's also a perfect excuse for a date night! Last night I was fortunate enough to attend the opening night party for the Interior Design Show at the Metro Toronto Convention Centre. It's Canada's biggest design show that has over 300 exhibitors with everything from bathroom and kitchen designs, furniture and innovations. This was such an amazing event filled with great food, drinks and music. If you are interested in attending the party next year I would definitely recommended it or check out the show happening today and tomorrow. Caesarstone is a company that carries all different kinds of quartz material for your home or commercial space. They had a bunch of swings and all the seats were made of quartz. It was such a unique and fun booth. Here is a picture of me below testing out the swing. They were also giving out cute mini popsicles!! They were so good! Oceania booth - I so want one of these bathtubs! Tenzo booth. They have luxury shower accessories. Bloomsbury Fine Cabinetry had the most GORGEOUS kitchen!! Makes me want to redo mine now, lol! Look how stunning this bath tub is from Stone Forest Inc! Creekside Tile - they carry a variety of tile, stone, and glass products. If you are interested in attending the Interior Design Show, it is running today and tomorrow. To buy tickets, visit their website here. DIY Valentine's Day Craft for Kids! Our Night at Monster Jam! Monster Jam at The Rogers Centre + Giveaway!